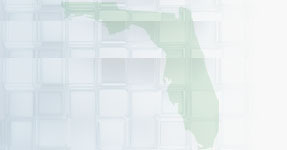 Learn About, COBRA Health Insurance In Florida! COBRA The COBRA (Consolidated Omnibus Budget Reconciliation Act) health insurance program, which was first started during the mid 1980's, has been both a blessing and a curse for the people of America. The people of America consider it a blessing since the program enable the people to keep their job-based health insurance intact even after they have lost their jobs. The COBRA health insurance program thus provides protection to the people against all health casualties. However, it is also considered as a curse since the program requires the people to pay the full freight charges and also the administrative fees. People with no jobs find it difficult to pay the fees. As per the recent reports, the average premium amount under COBRA health insurance program for an individual in a PPO is $5,184. According to a recent study conducted by the National Business Group on Health and Towers Watson, a consulting firm, the average premium amount for family health insurance coverage was $15, 202. The amount is a huge price for unemployed people. Florida Health Insurance - How Does COBRA Work? People who received COBRA premium assistance any time after October 31, 2009, should receive notice from their former employers or health plans by mid-February explaining that COBRA premium assistance has been extended. Those that lost their COBRA coverage for failure to pay their premiums can get that coverage back by paying any missed premiums: for each month missed, they must pay 35 percent of their total COBRA premium, and the federal government pays the other 65 percent (just as it did when they had the subsidy before). After people get notice from their former employer or health plan, they have 30 days to make this payment. Those that paid their full COBRA premiums in December because they thought the assistance had ended will get refunds or credits for any overpayments they made. Copyright © 2007 (COBRA) Florida Health Insurance Web. All Rights Reserved.